Christmas is always a tricky time to buy presents and no more than for golfers. Many golfers are bored with novelty socks and plastic tat that they get given every year. So we have come up with a defiinitive list of great Christmas Gift Ideas. In this list it is apparel, if any golfer were to get one of these as a Christmas Gift they would be over the moon to encourage them to keep playing all year round. This sweater is soft feeling, and is lightweight and breathable for extra comfort during your round of golf. 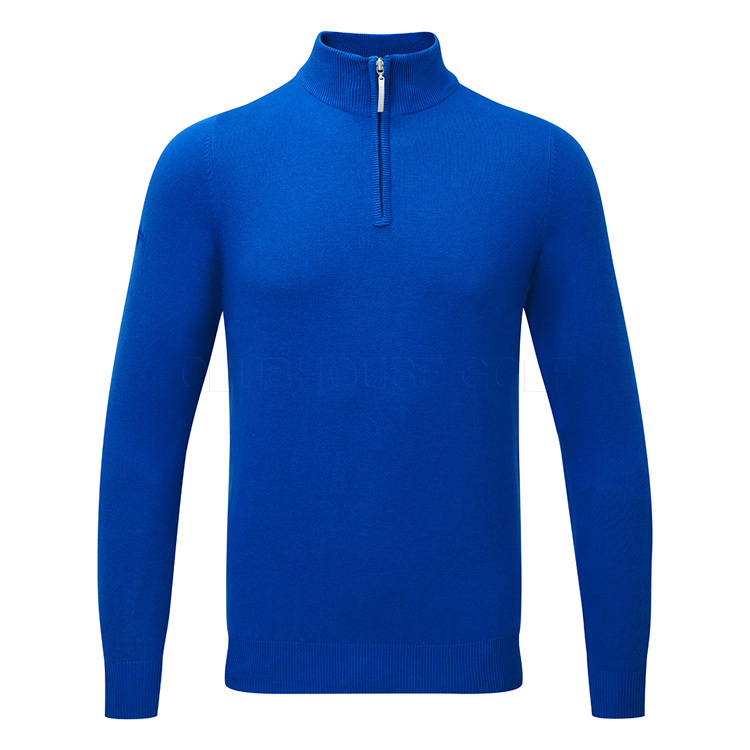 This Lambswool Pullover is lightweight but provides warmth and protection to any keen golfer, and it is made from 100% Lambswool. Its synthetic high-performance fibres insulate body heat and at the same time allows excess heat and moisture to move quickly to the outside thanks to the excellent breathability. These trousers have the Thermal Ventil8 technology, which is excellent for keeping you warm, dry and comfortable during performance on the golf course. With AeroReact technology fabric, this circular-knit mesh fabric is breathable and helps to regulate your optimum body temperature. The Ventil8 TM technology wicks away the moisture and excess heat twice as fast as a standard polyester golf shirt, so that you will stay dry, cool and focused. Under Armour CoolSwitch uses an exclusive coating on the inside that pulls heat away from your skin, making you actually feel cool & able to perform longer.